How the Outdoors helped me connect with my heritage. I seek to feel connected to a part of me that was lost generations ago. A time before the subways of NYC, giant shopping malls in San Juan or the traffic jams in Santo Domingo. A time when la selva was home, when la selva was food, when la selva was sacred and holy, when la selva was life. My ancestors navigated their islands, they thrived in their forests. When my African ancestors were brought to those islands as slaves, la selva provided them a means of escape. As the blood lines began to mix Taino, Africano, y Español, the forest became our way of life... Eramos gente del campo: platano, café, yuca, caña, mango, guayaba; bebiendo agua de coco debajo del framboyan. I seek to remember that part of me, coursing deeply in my veins. My ancestors, I carry them with me; they are foundational to my soul. It is in these places that I am finding better understanding of who they are and it is in the places that I gain a deeper knowledge of the woman I want to be. When I am in nature I feel inspired to be my greatest self. I love being outside because it challenges me to step out of my comfort zone as I learn valuable skills such as reading topography maps, building a fire—finding ways to improvise with the resources around me so that I can survive and thrive in the outdoors. I have learned and grown so much since I went on my first hike two years ago. Yet, the thing that gives me the most profound sense of happiness when I am outdoors is not the new skills that I have gained but the connection I feel to a part of me that existed long before I was born. I love to be outside because it makes me feel connected to my ancestors, inhabitants of the islands of Puerto Rico and la Republica Dominicana. Since my family first started moving to the U.S. back in the 60s, we had to shift our focus from quality of life to making ends meet. My family never ventured out of New York City because participating in recreation and leisure activities was something we simply could not afford. Any extra money was either saved, sent to family members in the island, or used for trips back to Puerto Rico and the Dominican Republic. We didn't have the money to take time off work to backpack the Appalachian Trail or go whitewater rafting down the Colorado river, so we stopped thinking about those things. Within two generations the desire to explore, participate, and conserve the outdoors had dwindled to nearly nothing. To this day, los ojos de mis tias look like flying saucers when they see photos of me sitting on a rock overlooking Grandfather Mountain or rappelling down a cliff. Mis hermanos se ríen y me llaman loca when I tell them how much I love to sleep on the ground with no air conditioning. Yet I know that by participating in adventure sports I am not alienating myself from my family or my culture. Instead, I am actually connecting to my roots in a deeper way by experiencing the world in a way my ancestors did; without the luxuries of air conditioning and running water or the constant demands of smart phones and social media. Gazing up at a night sky full of stars for the first time at age 25, all I could think was "of course they didn't need TV, they had this. This is magic." Challenging myself as I navigate back-country trails is thrilling because it makes me wonder if my ancestors did the same as they traveled from one part of the island to the next. Learning how to build a camp-fire was exciting because it conjured images of my old tios and tias illuminated by firelight listening to the symphonic call of the coqui. Being outside has helped me learn about myself in way that I could scarcely have imagined during the first 24 years of my life. When I walk, climb, jump, and dive I feel like I am not only challenging myself, but paying homage to the people who have struggled so much to pave the way for my own existence, for my own success. I will forever be grateful. 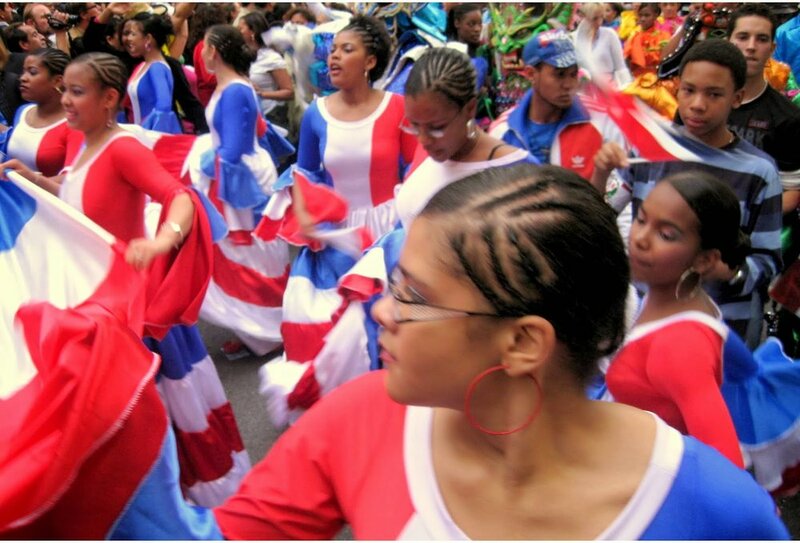 Para mi bella gente de Republica Dominicana y Puerto Rico... No se te olvide de donde vienes, siempre respecta tus raices y sigue siempre Pa'lante! For all my beautiful black, brown, asian and indigenous readers... never forget where you came from. Respect your roots and always move forward. Your ancestors struggled every day so that you may be the physical manifestation of their wildest dreams come true.